Self-motivated stylists choose salon suites and studios for a variety of reasons: to create their one-of-a-kind salon culture, build their clientele, grow their business and enjoy the freedom and benefits of salon ownership. Sola Salon Studios empowers stylists by alleviating some of the risk associated with entrepreneurship, providing retail opportunity, furnishings, equipment and, best of all, brand recognition. Launching your own business in a salon studio doesn’t require a huge investment, but you will need ingenuity, courage and a loyal following. Jackie Shoop-Zugschwert and her wife, co-owners of Mirror Mirror in Woodbury, Minnesota, were in the perfect position to hang their own shingle. They’d been managers at previous gigs, and, in that capacity, had glimpsed behind-the-scenes stuff like bookkeeping and marketing. More importantly, they each had an established client-base, which goes a long way in making the transition to Sola a seamless one. There’s a reason Realtors are always harping on this phrase! Ideally, your new salon should be within close proximity to your current salon, and to where your clients live. It’s also a nice perk if that salon is convenient for you as well. 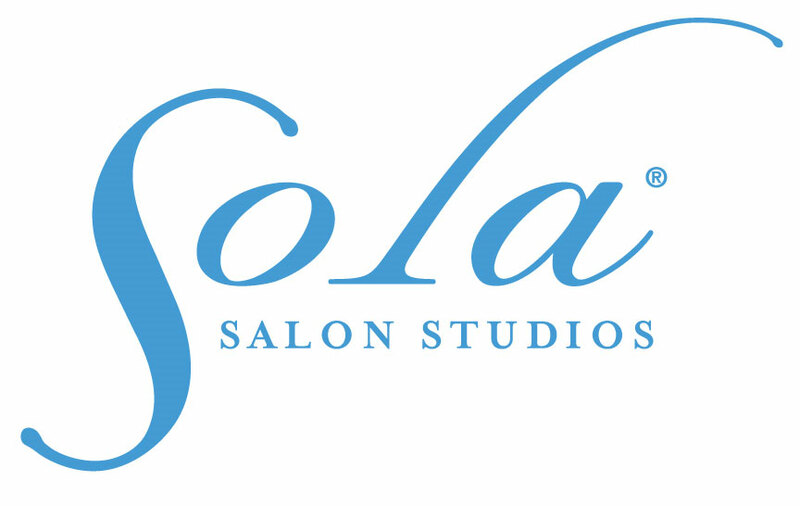 Sola Salon Studios has over 200 locations nationwide in most major US cities, which for the most part are conveniently located near major intersections and within shopping centers and retail areas. This means nearby amenities (a plus for most multi-tasking clients) and, also, visibility for attracting new clients. “The location, size and visibility of the Blaine Sola Salons was important,” says Michelle Willett of Trendz by Michelle. Christina Araj was pleasantly surprised by how easy her move to Sola was, and she credits technology for that, illustrating the importance of having your systems in place prior to moving to your new salon. At your previous gig, maybe there was a receptionist who booked appointments. Online booking fills that void, and ensures you aren’t missing calls from clients and potential clients. When you’re the boss, you decide what fills the back bar and the shelves. Products play a huge role in building salon culture — that’s why GlamLocks Hair Lounge founder Autumn Morris is “very picky” about what she sells. This guru carries a smart mix of high-end and affordable lines for a diverse range of clients, and she knows she’ll sell more stuff if she’s passionate about what she’s hocking. “I love carrying a little of all my favorite things,” Autumn explains. She stocks her shelves with the usual and then some: her favorite hairspray, moisturizer and mascara. Adding extras not only makes your space beautiful — it’s an opportunity for upselling retail. Once the legal stuff’s done, you’ll have to make a few more decisions about the services you’ll offer, your hours and pricing. When Tanisha Howard opened her salon at Sola, she “increased prices, established a cancelation policy and vowed to stick to a regular schedule.” Other stylists have found opportunity in adding services and upselling add-ons like a deep conditioning treatment or eyebrow wax. For stylist Linda Thompson, the most exciting thing about salon ownership has been decorating. Creating a trademark gives a salon show-stopping appeal, and the first step is deciding on a mood. If Zen’s your thing, think nature: earth tones, peaceful colors. By introducing incandescent lighting with floor or table lamps and incorporating plants or a tabletop waterfall, you can create a spa-like atmosphere on a dime. And, if you’re going to splurge, why not do it on that awesome chevron chair you’ve always dreamed of? Your clients need a comfy seat! Paint, too, establishes mood — and Sola will put your choice of color on the walls at no additional cost. Remember, devil’s in the details. You’ll need a hamper for towels and a broom with dustpan. Make these everyday staples fun with cheerful colors or interesting patterns. When you’re ready for finishing touches, hang your artwork, set up speakers to play the music of your choice or put up a television if you prefer to watch sitcoms or the news. Don’t forget, though, that you’re the most important aspect of the salon environment, and it’s the experience you provide that drives repeat business. “When I book clients, I make sure I have enough time with them. If there’s extra time, I'll do a quick up-do, eyebrow wax or make-up touch-up, and they really appreciate that,” says Nyki Nechiporenko. Speaking of establishing your social media presence, check out these useful articles on Creating a Facebook Business Page and Increasing Visibility through Social Media. From the moment you open your doors for business, you’ll be able to enjoy the freedom to live the life you love. “Our studio opened for business on July 6, 2013, and we invited our friends, family and clients to an open house the night before,” recalls Jackie Shoop-Zugschwert, adding, “The support and love we felt that night has kept us flying high. We love what we do, which means everyday is the best day at Sola!” Welcome clients Jackie-style with an event. Then, take some time to revel in the tremendous accomplishment you’ve completed! Because let’s face it. You can either go to work, or you can be the boss.